This was Franklin D. Roosevelt’s presidential limousine. It was a convertible, so that he could be seen from the car by the public without the need to leave the car. 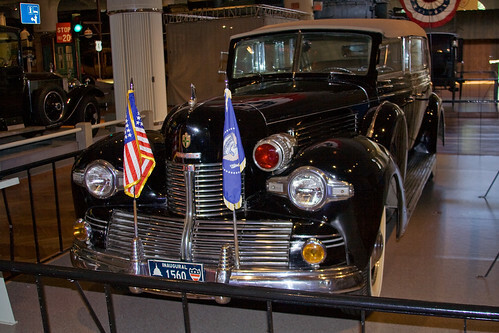 This entry was posted on February 2, 2009 at 9:00 am and filed under Dearborn, Ford, Franklin D. Roosevelt, Henry Ford, Henry Ford Museum, Michigan, museum, Presidential Limousine, vacation.